You knew this day would come. It was bound to happen one way or another. This is how it went down. 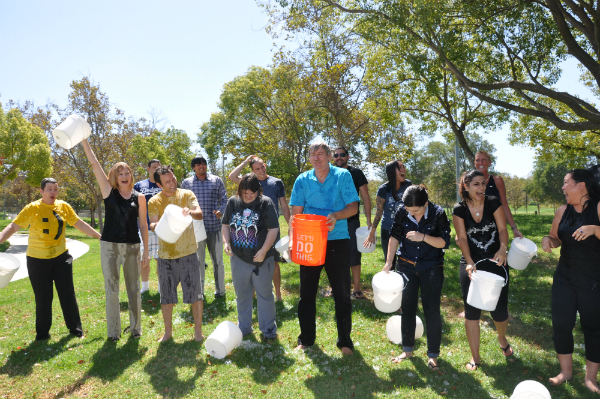 President of our long-time SEO client BenefitsCafe.com, Bruce Jugan, a board member of the ALS Association Golden West Chapter, nominated Bruce Clay and the “whole team” to partake in the ALS Ice Bucket Challenge. We’re believers in the power of social media memes to accelerate awareness. Challenge accepted! Video and pics below the fold! 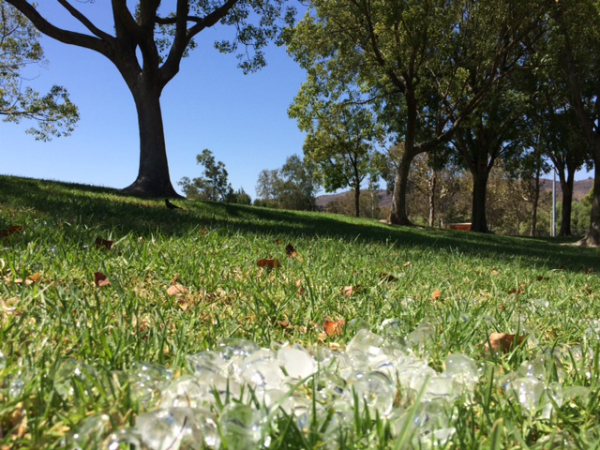 Considering that California is in the state’s worst drought in a century, we brought the challenge to a local park where we could water the grass. 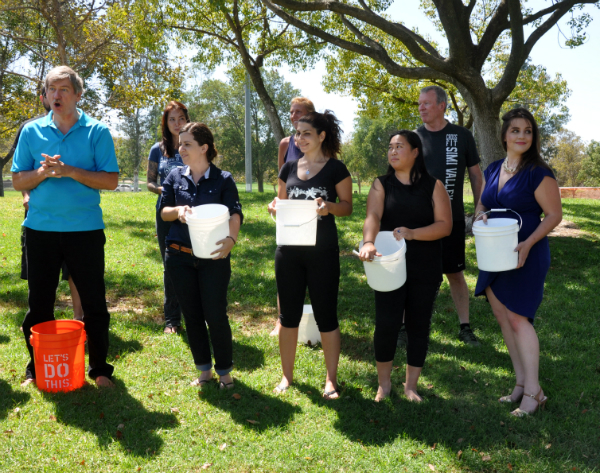 In the spirit of ethical SEO (and ethical ice bucket challenges), we ran our plans by the Simi Valley Recreation & Park District and got their enthusiastic blessing. At about 1:30 PM yesterday, eager Bruce Clay, Inc. team members met at Rancho Madera Community Park in Simi Valley where Bruce announced the company would be sponsoring the Los Angeles Walk to Defeat ALS at Exposition Park on October 19. As tradition goes, we challenged two organizations whom we know and love, aimClear and Pixelsilk. As for the rest, well, you’ll just have to see for yourself. 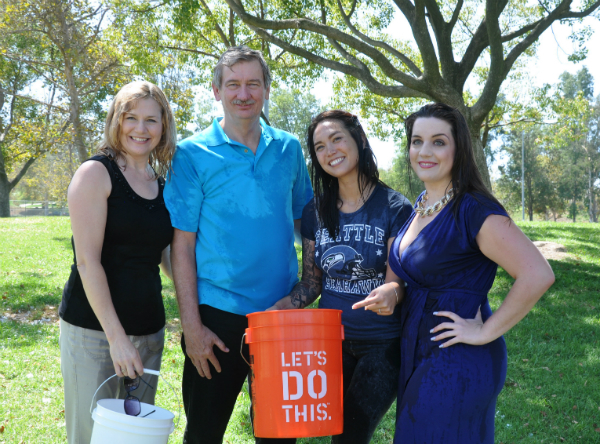 Funny story: the ALS Ice Bucket Challenge and marketing lessons gleaned from the viral phenomenon is the topic of yesterday’s SEM Synergy podcast. If you listen to the segment pre-recorded last week, you’ll hear Bruce proposing his own preferred interpretation of an ice bucket challenge, much like Patrick Stewart’s version but imagined days before that video hit the web. Sorry, boss! But your traditional take meant we all got to join in on the fun. If you’re a fan of Bruce Clay, Inc., social media memes and Internet marketing, subscribe to our monthly SEO Newsletter email for SEO and Internet marketing news and education from a thought-leading organization in online marketing. 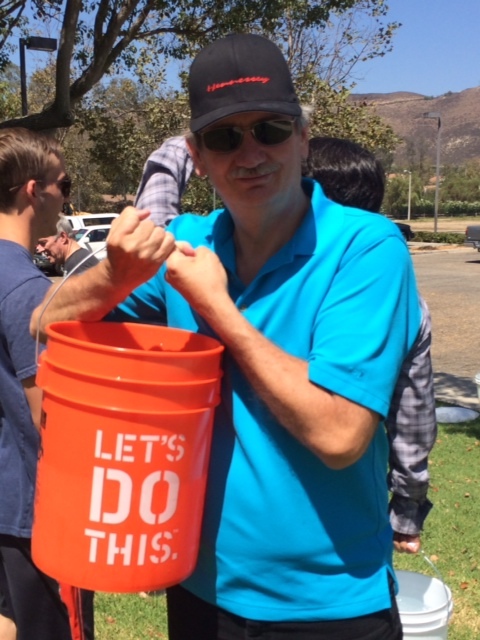 #icebucketchallenge step 1: Get your appropriately enthusiastic bucket. For those who got to the park a moment too late, there was a second chance dunk! That would be a fun idea. Any volunteers?? Ahem, Josh. It’s pretty cool to see top players in the business world take a stab at the challenge. Maybe someone should make a collage of the top 1% who did it and compare their facial reactions.